After more than 20 years, photographer Eddo Hartmann returns to his parent's house, a luxurious canal side house he left at a young age to escape from domestic violence and isolation. Once there, he finds the place to be in the exact same state as the day he left it: the same furniture, the same wallpaper. Even his toys are untouched. Only the gigantic pile of rubbish on the floor proves his father has been living there during all this time. 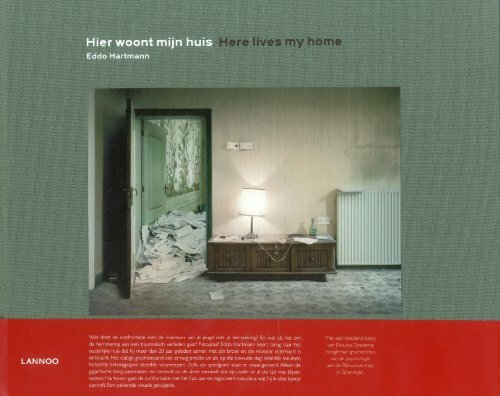 Here Lives my Home is a unique visual investigation of what is called 'the autobiographic memory' in psychology. Personal memories are not static but seem to be very unpredictable and whimsical, certainly when it comes to traumatic events.